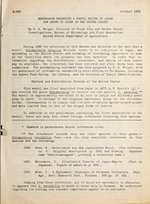 the Insect Pest Survey, the Library, and the Division of Insect Identification. and more limited than is that of the winged forms of insects. Numbers in parentheses denote references cited. 1931. Miwa, Y. A Systematic Catalogue of Formosan Coleoptera. Dept. regarding its biology and economic -importance appear to be available. abundant in that country to be given a common name. even with the windows and doors screened. (Specimens determined by L. L.
sist of iris, bindweed (Convolvulus sp,), phlox, and smartweed (Polygonum sp.). as having been found damaging sweetpotato and yarrow at Mechanicsburg, Pa.
available indicate that Japan is the only foreign country in which it occurs. a serious pest in that country. to Connecticut, Maryland, and Pennsylvania. point, in addition to its possible status as a plant pest. traps to catch the adults. (1) 1873. Roelofs, W. Curculionides recueillis au Japan par M. G. Lewis. Ann. Sch6nfeldt, H. v. Catalog der Coleopteren von Japan. Jahrb. the Kurile Islands. Trans. Ent. Soc. Lond. 1896: 81-115. Britton, W. E. Another Japanese weevil pest C. setarius Roelofs. Guyton, T. L., and Champlain, A. B.
letin, vol. 15, no. 5, p. 251. Cory, E. N. In Insect Pest Survey Bulletin, vol. 15, no. 6, p. 315.